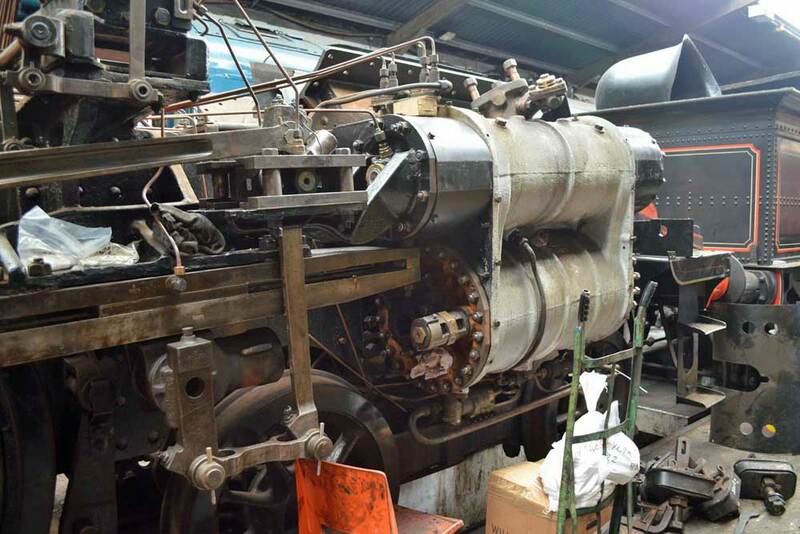 British Railway Standard 4 4-6-0 75078 took a further step towards a return to action when the boiler repairs were recently completed and following a successful hydraulic test, the boiler duly passed its steam test at Crewe Heritage Centre. The boiler is now due back at Haworth in the next week or so. 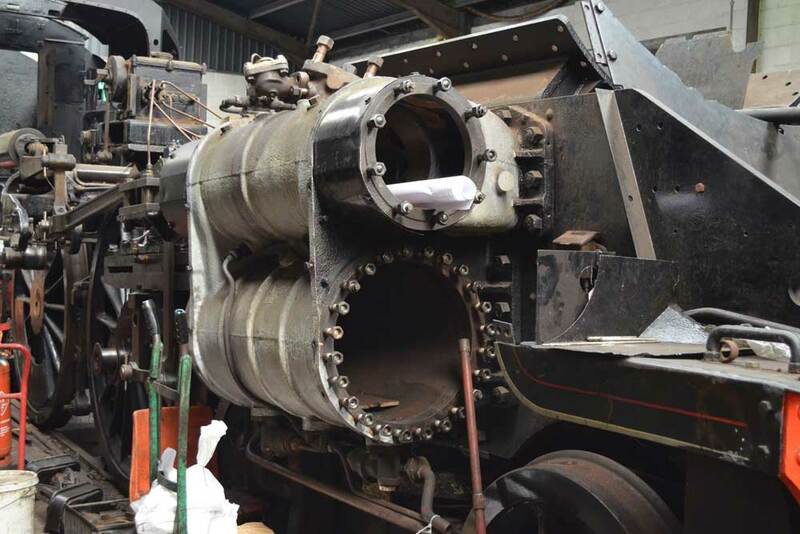 Photographs of the steam test were not allowed but here the boiler is seen at Crewe back in February 2011 awaiting the attentions of the fitters and these recent photographs taken at Haworth recently show work currently under way in preparation for its return.